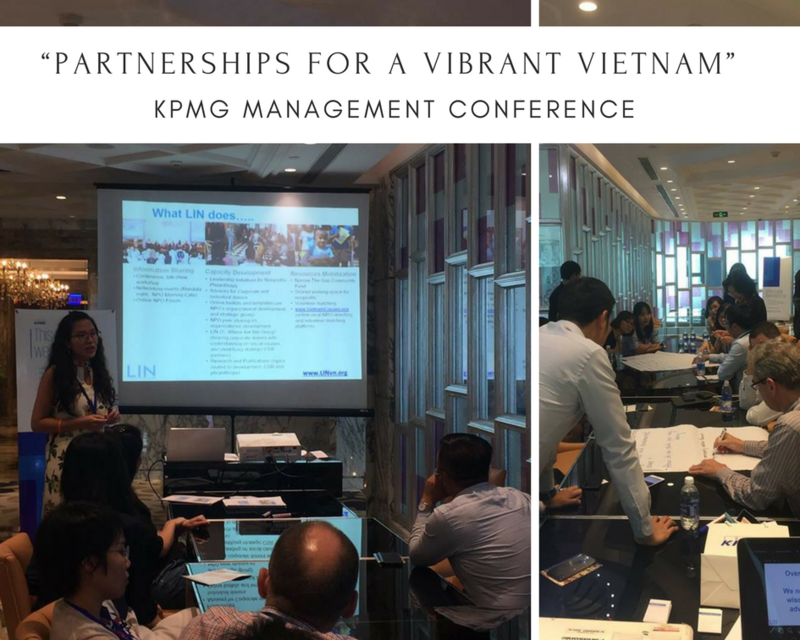 In 6 - 7 October, LIN Center had a sharing session about "Partnerships for a Vibrant Vietnam" in KPMG Management Conference with 250+ leaders or KPMG Vietnam and Cambodia. At the conference, Ms. Tran Vu Ngan Giang, LIN Center's Executive Director talked about the recent case study of corporate social responsibility (CSR), creating shared value (CSV), and other consultation services that LIN provides in order to connect corporations with nonprofits more efficiency, and impactful. The managers of KPMG also contributed their ideas to improve the quality of LIN's services in terms of making better connection between business and nonprofits. LIN Center hopes that by understanding the work in common of business and nonprofits, and all result aims toward the community, more business will keep partnership for creating shared values as an essential part of their strategy to the future. A visit to "My Village, My Vision 20 years from now"
- 300+ guests attended the event at the Soul Live Project's Hall. - So far we have raised 1,469,344,089 VND (~65,304 USD) from 161 individuals, 21 corporations and institutions for Narrow the Gap Fund 2017. - Those who attended were emmersed in the Sustainable Village where the 6 finalists shared their incredible projects and solutions toward complex social and environmental issues in Ho Chi Minh City and the South of Vietnam. - The community involvement was a success with over 3,750 online votes (weighted at 15%), 230+ votes during the event (weighted at 20%), and scores from the 16 grant evaluators (weighted at 65%) to awrd the winning 3 projects. The winners of Narrow the Gap Community Fund round II are: Friends for Street Children, Happier, and Thien Chi Center! Click here to read full wrap-up message of the event.